Discussion in 'Headquarters Archive' started by ~NightHawk~, Oct 25, 2018.
please post here any feedback on the Fly By Night Weeks Event! What the.. oh, come BigPoint.. I thought you were better than that.. Again? All these planes I think that are worst event planes ever? I thought at first it was the original 2015 Halloween event! Come on Bigpoint in Germany, I want that event (not fly by night) to be in 2019! I really dislike this event! I've only gotten 3 currencies and the only thing i like is the helipad! I really hope we do the winter event like last year! I liked those planes! -NewBlood- and Norway like this. Yes, I am playing only because of the helipad too, I wanted two of them last year, but I missclicked and bought something different and it was the end of the event, so I hadn't enough currency to buy the second. So this is all I want from this event, one helipad..
Diamondbacks57 and Norway like this. I feel the same way! Except, I didnt have helis last year. 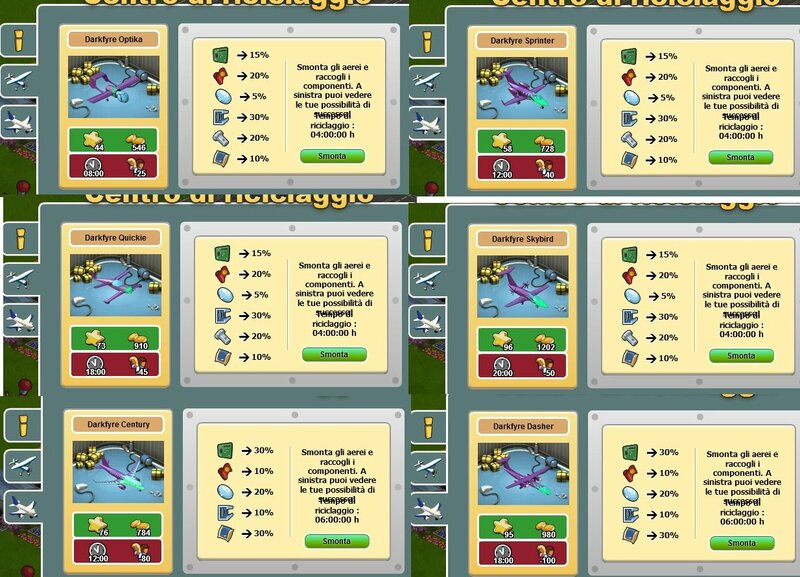 On this screen you can see how many percent chance you have to get for the XXL parts, when you put the planes in the recycling center. jank1961, -NewBlood-, bill88t and 1 other person like this. jank1961 and olandiano like this. We would like to inform you that as of November 20th support for Skyrama will be offered in English and German only. This is due to a very low number of players that actively contact Support in any other language. As of the above mentioned date all support requests will need to be in English or German. At the same time we will soon change the international section in the forum into one section only, where players from all countries can write entries in languages other than English. The current separate languages sections will then be merged into one section only. This and who is this message to us? what do you mean? I can't understand your question . "We did it again ... we made the worst event ever, just to kill their Christmas Spirit !!!" Event "Fly By Night Weeks" this is the past.